I am an Registered Nurse & Massage Therapist who suffers from tennis elbow. I had been taking prescription anti-inflammatory medication, however it began to upset my stomach to the degree where I had to stop taking it. Recently I was at an AMTA convention and received samples of CRYODERM as well as samples of other popular topical analgesics. Upon getting home I began trying all of the topical analgesics on my elbow. 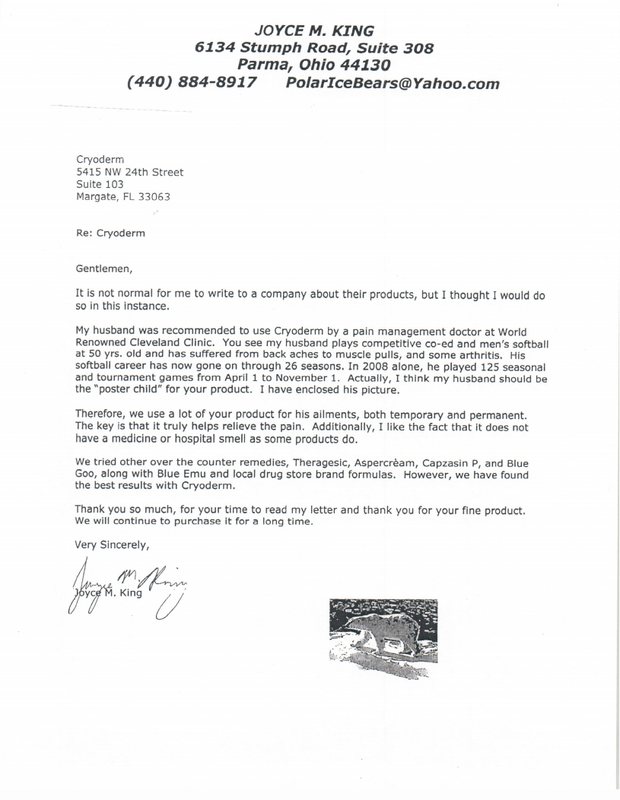 I can honestly say that no other product provided the pain relief and anti-inflammation properties that CRYODERM did. In fact the relief CRYODERM provides is equal to or greater than the prescription medications I had been taking. Therefore, I am going to start ordering CRYODERM not only to sell to my clients but to continue to use on myself. Thank you for making such a great product, it’s about time a prescription strength drug was available without the prescription. I sent CRYODERM samples to my sister-in-law, who has chronic wrist problems that include painful movement and swelling due to De Quervain syndrome. 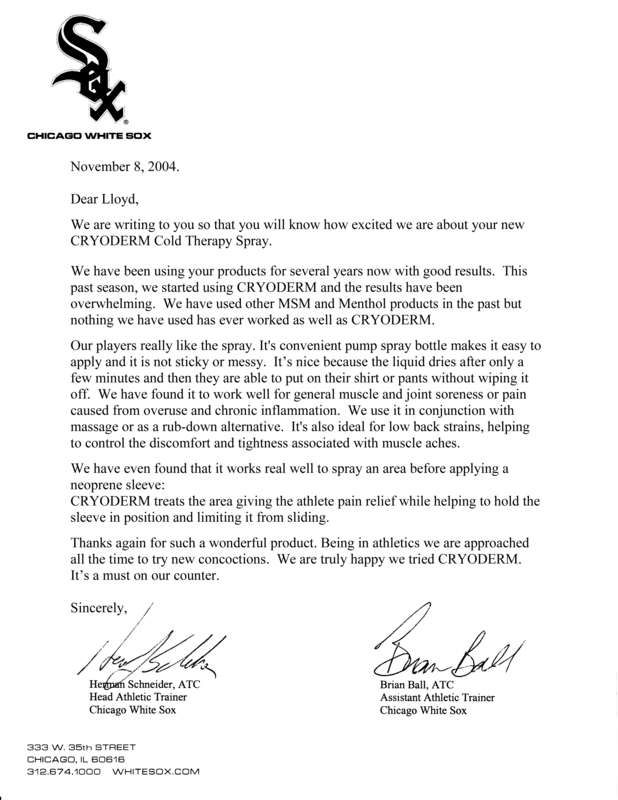 Lloyd, additionally, our massage students and graduate therapists have given us great feedback and are purchasing lots of the CRYODERM from us to use during massage to help release muscle spasms and dramatically reduce pain. The clients love the products and are purchasing for home use. On another note, I have also had CRYODERM applied to me during therapeutic massage of my shoulder and pectoral regions to break up post-surgical adhesions. You were right, the deep tissue and transverse friction were less painful and more effective with no next day soreness. I have tried all the other professional products available to the healthcare market and no other product comes close to the efficacy of CRYODERM. It really works! Just thought I would let you know what our experiences have been.